Happy Chinese New Year everybody! 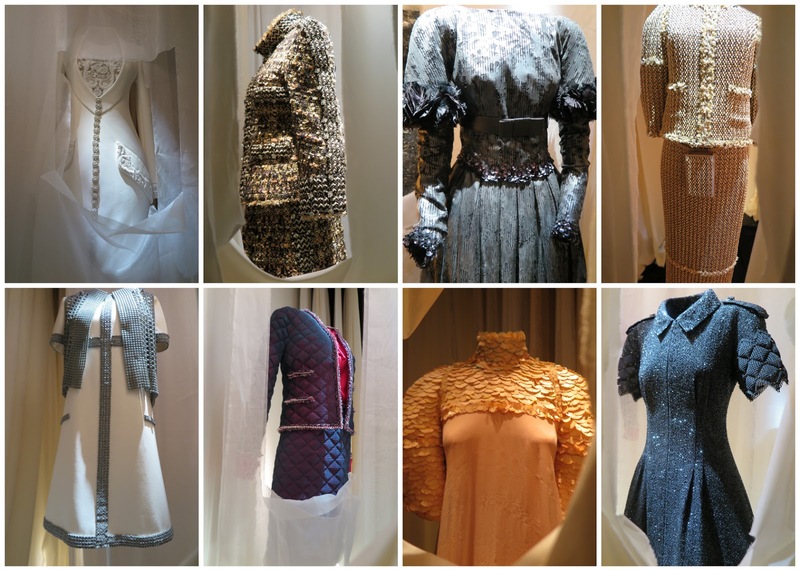 Finally got time to sit down and write about the Mademoiselle Privé Exhibition I visited twice this year. The exhibition lasted from 13 Jan - 10 Feb, 2018 at PMQ, one of the most popular spot for public exhibition space. You may also browse my post about Hermes Leather Forever Exhibition that took place in the same spot in 2014. What's different from the previous exhibitions was the integration of technological dimension this time at Mademoiselle Privé, had to admit I was annoyed at first that visitors must download their app and pre-register online to receive a QR code for entrance, but then the accessible interactive videos eased my tour as I walk through each installation. A friend told me she went to the Mademoiselle Privé exhibition in London two years ago, made me wonder if the same app was available back then? Anyway, once visitors get to the entrance, they are greeted with the 31 Rue Cambon facade - as if they were standing in front of Chanel's headquarters in Paris. At the very beginning of the exhibition, visitors are asked to pick a camellia either in white (symbolises adoration), pink (symbolises longing for someone) or red (symbolises passion and deep desire) to decorate the interactive art installation 'Camellia Light' - a sky lantern in camellia shape. These traditional Chinese lanterns are believed to send prayers and blessings to heaven as they ascend to the sky. Inside a white cubical booth behind the camellia garden, visitors can have a taste of the different Chanel No.5 fragrances from five large flasks. I appreciated the interactive experience, but the scents were not showcased in the best way as most of the fragrances smelled very weak and people were queuing to sniff into those flasks hahaha, not very hygienic either! Next up, is a huge area dedicated to the savoir-faire of the design house's most iconic designs. Two wall sized video screens showcased the dismantling of the tweed jacket and little black dress - before visitors were led to view a few collection of the latest designs of the avant-guarde, using materials like concrete, siliconed lace, wood, 3D printing. To be honest, I did not expect to see high jewelleries as well in this exhibition. But I was furthermore STUNNED by the human-sized diamond necklace rotational-display!!! But my favourite part of all has to be the short film in the end - of Chanel 'waking up' as a ghost in her apartment 40 years after her death and confronting Karl Lagerfeld with his work. I wouldn't wanna spoil the fun if you still haven't visited the exhibition, so I'm not posting it here. It occurs to me not a lot of people noticed the 3 workshops (No.5 // La Marie // Haute Joallerie) happening on 7/F. Indeed, I made my way back to the exhibition a second time as I wasn't able to browse the workshops after my first visit. I was unfortunate to learn that the narrator no longer curates the workshops during my second visit, so I was just left with some displays to look at.